The little island of St. Barthélemy — nicknamed St. Barts, or St. Barth, or even St. Barths, depending on who you’re talking to — lies nestled in the delicate southward crescent of the French West Indies, southeast of Puerto Rico, a stone’s throw from St. Maarten. We’ve visited it almost every winter for over twenty years, most recently this February, 2016. The best way to visualize it is as a piece of Provence plopped down in the Caribbean. It’s French and predominantly white and historically poor and well past its prime as the go-to spot for A-list celebrities and mega-moguls. Now the waves of real celebrities have moved on to other shores and the island is touted by every travel agent in Des Moines as the place for little Lindsay and Biff to have their honeymoon. It’s crawling with middle-class Midwesterners along with the entrenched seasonal population of cellphone-enslaved New Yorkers, and has been thoroughly raked over by the travel press. What more is there to say? Well, a few things are worth noting about the present-day St. Barts. It’s still just hard enough to get to (typically by plane from Puerto Rico or St. Maarten), and hard enough to afford that you can convince yourself that being there at all puts you somewhere in the derided but enviable one percent. In fact, while once a Texas oil magnate or New York investment banker might have aspired to own a bungalow by one of St. Barts’ many turquoise bays, nowadays you have to be a Russian oligarch or own large swaths of Argentina to afford to buy land there, and it has become shockingly expensive even to visit (more on that later). We’ll leave to other sources the oft-told tales of St. Barts’ history (a chaotic colonial badminton match between France and Sweden), its climate (benignly tropical), its terrain (seven disjointed miles of hills jostling each other above the blue Car­ibbean), its beaches (varied and numerous), the experience of landing on its famously-tiny runway (still heartstopping), which celebrities have most re­cently been there (don’t know), and which restaurants are in or out (ditto, though you will find below a candid rating of our current favorites). 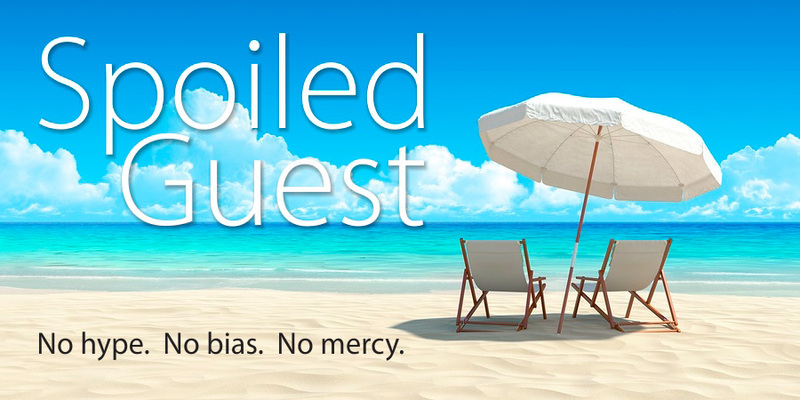 The Spoiled Guest wants instead to describe what it’s like to be there now that it has become a bit of a cliché. Much of the attractive beachfront (and there is no unattractive beachfront on St. Barts) is owned either by the French government (St. Barts is a prefecture of mainland France) or by private individuals of stubborn Gallic temperament, and they and the island fathers have commendably continued to resist the incursion of big hotel chains. The hotels are of human scale; some, like the recently remodeled Guanahani and the almost-forgotten Manapani, are quite old and faintly shabby, though the oldest, the Eden Rock Hotel, became Euro-chic sometime last century and these days is painfully hip. Sofitel is the one, nota­bly French, hotel chain that has a foothold here, in an odd little set of isolated bungalows on Pointe Miliou, a part of the island where, in Gallic irony, there is no beach. The Louis Vuitton empire has acquired the Isle de France, a charming little formerly independent hotel on the beach of Flamands that teems with Americans from Christmas through Passover, and renamed it the Cheval Blanc for no discernable reason. It has the dubious distinction of housing one of the most overpriced and blatantly mediocre restaurants on the island (see reviews below). Unfortunately, rather large cruise ships do appear offshore and disgorge hordes of the sort of tourists who never in a million years would set foot on St. Barts by any other means. They’re all told to go to Shell Beach (a small, rather unremarkable stretch of sand that is the only beach walkable from the harbor), where they gawk about and overrun the place for an hour or two, then retreat to the comforting confines of their bloated vessel. It pays to check when they’ll be in port so as to avoid Shell Beach (and downtown Gustavia in general) for the duration of the anchorage. The devastating hurricane of ‘95, which wiped out a lot of waterfront housing and all of that year’s tourist season, gave lasting license to excessive construction on the island, much of it crassly entrepreneurial. New rental villas have sprung up on every hillside, widened roads encircle the gussied-up airport, and some low-end motel-style structures have sprouted near the less-popu­lar beaches like mushrooms after a long rain. Some changes are innocuous: the Match supermarket, where once , in headier days, we spied Gerard Depardieu padding along the aisles in his bare feet with a little red plastic shopping basket, is now a Marché supermarket (though we persist in calling it the Match). Gerard, we take it, has moved on to Russia. Speaking of Russians, we didn’t see many this season, which bespeaks, we suppose, the continuing effectiveness of the economic sanctions imposed in the wake of Putin’s Crimean adventure. Well done, if you ask us. It can’t go unmentioned, however, that the island has become almost hopelessly congested with vehicular traffic. The terrain is sprawling and hilly enough that everyone rents a car to get around, and the profusion of new villas has meant thousands more annual visitors. The result during the high season is daily traffic jams in St. Jean and Gustavia, the main commercial nodes of the island. Where once everyone got around in cheap little open-topped “Mokes” not much bigger than a golf cart, now the Americans and Russians need big SUVs to make them feel secure when confronted with French driving habits, and Mini Coopers are the Moke of the moment. Hence roads have been widened, driving speeds have risen, and good luck finding a parking space. It’s reached the breaking point – meaning the point at which you start to wonder if being there is all that much of an upgrade from, say, Tampa. Okay, that’s silly. 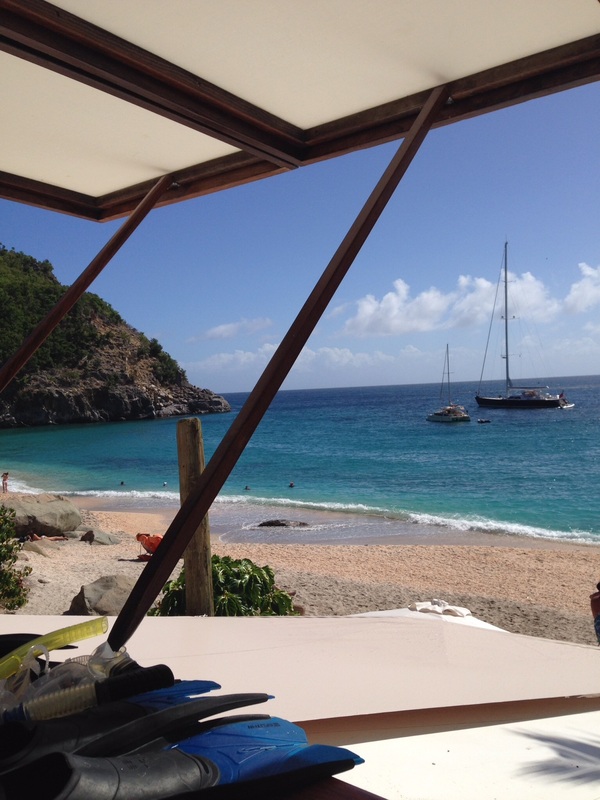 On St. Barts’ worst day, it’s nothing like Tampa. In the antediluvian (literally) early ‘90s, a popular T-shirt sold in St. Barts was imprinted with an outline of the island and the words “No Phones.” It was a point of local pride, and it was true. When I and the investment banker friend with whom I shared the cost of a beachfront villa wanted to make a call to an important client, he and I would trudge down the road to the nearest pay phone with a plastic card loaded up with Francs (in those days) and pass the handset back and forth between us. Now, of course, wi-fi is ubiquitous, the New Yorkers at the Isle de France — sorry, the Cheval Blanc — wander up and down the beach with cellphones stuck to their ears, and all the villas have satellite dishes sucking American television from the sky. If you weren’t blinded by the sunlight or intoxicated by the intense blueness of the sea or distracted by the French language lilting around you amidst the Brooklyn accents, you might think you’d never left home. Unless you looked at a menu. Did I mention the place is expensive? The strengthening of the dollar against the Euro provides some psychological anesthesia for the scalping you will endure, but it’s still the case that modest little lunches for two, admittedly including a bottle of nice rosé and perhaps a crepe suzette or cappuccino afterwards, will routinely run you a couple of hundred dollars. Dinner is in the realm of high-end Manhattan venues frequented only by hedge fund managers and maybe Michael Bloomberg. A perfectly acceptable hamburger at Eden Rock will set you back sixty bucks (okay, maybe fifty bucks this year with the Euro having fallen to near-parity with the dollar). Don’t misunderstand: after the initial shock and rationalization that you can always take out a second mortgage, you cease to care. The French don’t really know how to cook badly, or make merely passable wine or so-so bread or indifferent coffee, and being surrounded by white sand and a warm turquoise sea sure hasn’t taught them. The food is unbelievably good for a small island that imports almost everything from Guadeloupe (except chefs, who are apparently imported directly from Paris). Any other Caribbean island will seem culinarily deprived by comparison, and you cry when you think about eating back home. Eddy’s – A fixture in Gustavia since time immemorial, it’s a funky, open-air lot festooned with palms and Christmas lights and crowded most nights. We thought of it as cornball-islandy and hopelessly passe’, yet the Spoiled Guest had the best appetizer of this year’s visit here (a velvety scallop carpaccio in a spicy herb tapenade), and an equally wonderful shrimp curry. Forget your preconceptions and the somewhat smarmy Eddy (who isn’t the original anyway), and go. The best food value on the island. Ambiance: 3; Service: 4; Food: 5; Value: 5. Isle de France (at the hotel Cheval Blanc) – It’s hard to overstate the disappointment of spending a week’s after-tax take-home on one of the most precious and unsatisfying dinners on the island, and this in a hotel that is aspiring to European excellence. Ridiculously overpriced even if it were good, the presentations and flavors were forgettable, the service stilted and unwelcoming. To be avoided, and if you’re staying here, plan to go out a lot. Ambiance: 2; Service: 3; Food: 1; Value: 0. Orega – Brand new this year. We were perhaps biased because this French-Japanese, sushi-oriented entry in the Gustavia culinary scene is housed in what used to be Le Sapotillier, a charming straight French redoubt of haute cuisine (where the Spoiled Guest celebrated his engagement to his lovely wife) that had stood for decades before closing its doors a few years ago . We were anticipating something unique, but have frankly had better sushi at half the price in any number of San Francisco or New York sushi bars, and the atmosphere is somehow out of whack, with everyone vying for the handful of tables overlooking the street, and the losers seated in the unprepossessing lower room. The new young proprietor is trying hard, but we give it a season or two before it too is swept away. Ambiance: 3; Service: 3; Food: 3; Value: 1. L’Isola – If you just can’t take any more of this island paradise vibe and are pining for New York, go to this uber-popular place in Gustavia. Once inside, you could be on the Upper East Side, or for that matter in almost any overpriced Italian restaurant in any major city in the States. Hopelessly loud and full of Americans who seem to think this is the height of sophistication, it’s like you never left home (if that’s what you go on vacation for). Food is merely passable, prices St. Barts stratospheric. Ambiance: 2; Service: 3; Food: 3; Value: 1. Maya’s – a popular mainstay, also full of Americans every night, but pleasantly laid-back and welcoming, run for the last 30+ years by the ever-amiable Randy Gurley and his chef-wife, Maya. Ambiance: 4; Service: 5; Food: 5; Value: 3. Eden Roc – up the stairs by St. Jean beach in the Eden Roc Hotel. A bit overblown, but fun, in an incomparable location. Ambiance: 5; Service: 4; Food: 4; Value: 2. 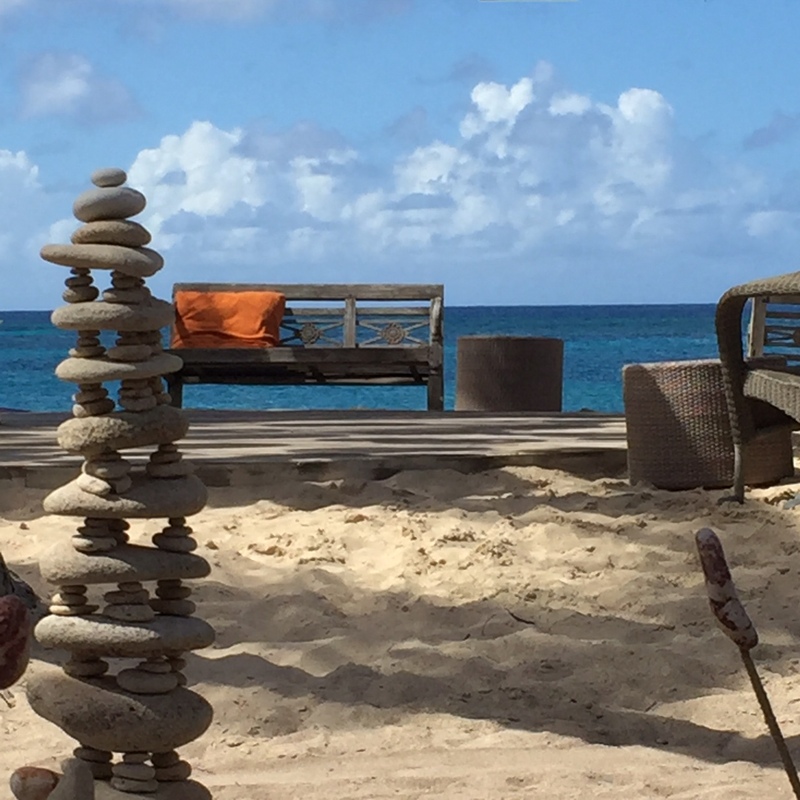 Do Brazil – on Shell Beach, a great, modest lunch spot with a hippie vibe, and sometimes music. Ambiance: 5; Service: 3; Food: 3; Value: 4. Black Ginger – a newcomer with a terrific Thai/Asian menu, in Gustavia. Ambiance: 4; Service: 5; Food: 5; Value: 5. Espirit – run by the redoubtable former chef at Eden Roc, Jean Claude DuFour. Out in the boonies near Petite Saline. Food always wonderful but service can be very spotty. Ambiance: 4; Service: 3; Food: 5; Value: 2. Bonito – pretty but pretentious, full of hedge fund wannabees fresh off the rented yachts in the harbor. Old-timers resent it because it replaced a perfectly good, reasonably-priced Thai eatery. Get a window seat overlooking Gustavia if you can fight off the investment bankers and survive the withering condescension of the hostess. 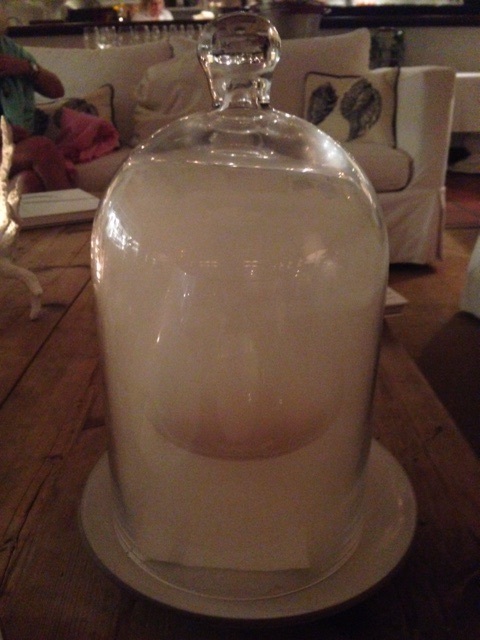 The sea bass is always good, and for the ultimate in decadence don’t miss the Smoky Whiskey, served in a smoke-filled bell jar. Ambiance: 5; Service: 3; Food: 4; Value: 2. La Langouste – Our go-to place for lunch, on Flamands. Unpretentious and charming. Spiny lobster from a tank in back, cod fritters, wonderful crepes, pineapple carpaccio, reasonable wine list, hard-working staff. Ambiance: 3; Service: 5; Food: 4; Value: 4. La Plage – the less pretentious version of Nikki Beach, its neighbor down the beach in St. Jean. Great food with your toes in the sand on one of St. Bart’s most beautiful, see-and-be-seen beaches, with planes zooming off the runway next door and the occasional fashion show from the in-house boutique. Ambiance: 5; Service: 3; Food: 3; Value: 3. Tamarin – the dramatically resuscitated reincarnation of an old warhorse out by Grande Saline, with delightful grounds (including the famously irascible parrots, now caged to protect the patrons) and an approachable menu. But it’s already beginning to rest on its laurels, and by next year may be passe’ again. Ambiance: 4; Service: 3; Food: 3; Value: 3. Gaiac – in the remote and exclusive Hotel Toiny, this expensive, elegant place aspires to Parisian excellence without the fuss. No view to speak of, but the fettuccine Alfredo alone is worth the visit. Ambiance: 4; Service: 5; Food: 4; Value: 3. Also worth a trip is the Toiny’s new beach club, a hair-raising dirt-road ride downhill from the hotel, where lunch is still a work in progress but which bids fair to becoming a fun, if remote, midday alternative. P.S. : we were told that the hotel would close this spring in order to nearly double the number of rooms, a development in keeping with the overall growth trends on the island, but which can’t be greeted warmly by those of us who remember simpler times. Eventually the days dwindle down, as the song goes, and you begin to count the number left before you have to climb on the little turboprop that will haul you heavily out of here and back to St. Maartin or San Juan, and then get on some packed cigar tube for the long flight home. But for now there are a few more sinuous little mountain roads and rum-embroidered naps not yet taken, and sunset dips in the translucent sea, and though they are working hard on it all over the island, they’ve not yet succeeded in making St. Barts easy to leave. Not just yet.